This startup says their technology can charge an EV as fast as gassing up. *GBatteries reached out to us with a correction. The Autoblog article has a typo saying 15 minutes, rather than five minutes. Since we used that article for the information, we also stated 15 minutes, which seemed long to us. The charging time as advertised and demonstrated by GBatteries is actually five minutes, and the original source article from TechCrunch has been updated to reflect that. This makes much more sense since the company claims its tech can make charging as fast as gassing up. Startup GBatteries surfaced as a Y Combinator seed. 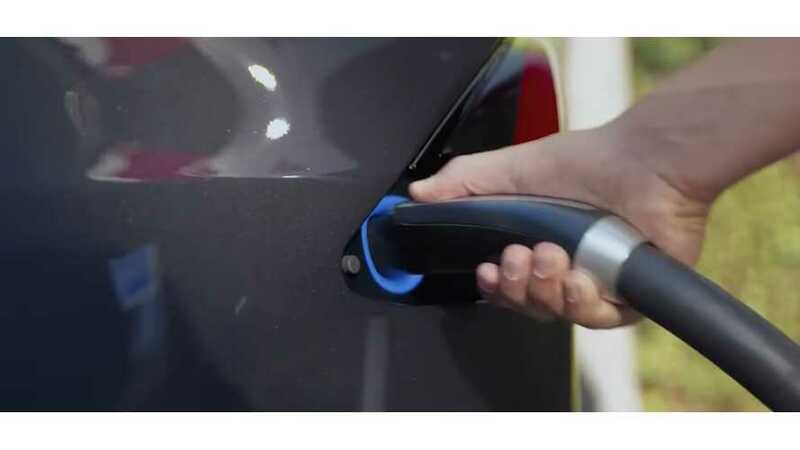 The company claims incredibly fast electric car charging speeds are on the horizon. According to a report on Autoblog (via TechCrunch), GBatteries employs Artificial Intelligence (AI) tech to optimize its EV battery charging system. Most companies are focused on developing new chemistries or materials (ex. Enevate, Storedot) to improve charging speed of batteries. Developing new materials is difficult, and scaling up production to the needs of automotive companies requires billions of $," said Khomutov. "Our technology is a combination of software algorithms (AI) and electronics, that works with off-the-shelf Li-ion batteries that have already been validated, tested, and produced by battery manufacturers. Nothing else needs to change. GBatteries says its tech can charge a 60-kWh battery pack with ~120 miles of range in about five minutes. It also claims that the system will work with current lithium-ion battery packs. You'll have to utilize this new fast-charging system and a special adaptor to make it all work. Still, the company was able to prove such claims in live demonstrations at 2019 CES in Las Vegas, Nevada. We've always tinkered with stuff together since before I was even a teenager, and over time had created a burgeoning hardware lab in our basement. While I was studying Chemistry at Carleton University in Ottawa, we'd often debate and discuss why batteries in our phones got so bad so rapidly - you'd buy a phone, and a year later it would almost be unusable because the battery degraded so badly. This sparked us to see if we can solve the problem by somehow extending the cycle life of batteries and achieve better performance, so that we'd have something that lasts. We spent a few weeks in our basement lab wiring together a simple control system along with an algorithm to charge a few battery cells, and after 6 months of testing and iterations we started seeing a noticeable difference between batteries charged conventionally, and ones using our algorithm. A year and a half later of constant iterations and development, we applied and were accepted in 2014 into YC. Sadly, due to its startup nature, we have no clue when this tech might come to the forefront. However, the reality of this charging breakthrough seems more viable than anything else we've shared in the past. What are your thoughts? Please let us know in the comment section below.